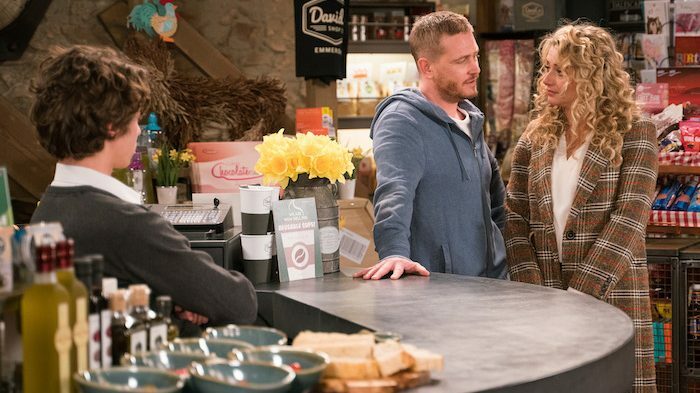 Mon 18 Mar 2019: Kim Tate turns up at Butler’s farm to talk to Moira Dingle. Mon 18 Mar 2019: Meeting her match in feistiness, Moira rejects Kim’s offer of money for the farm. 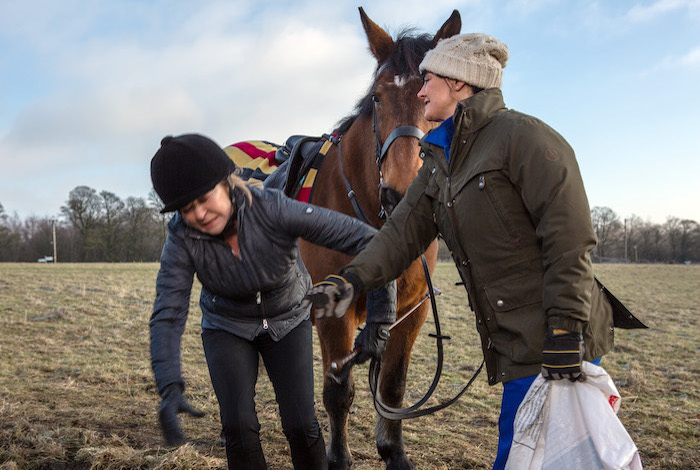 Mon 18 Mar 2019: When Kim falls into the mud, she’s humiliated and dangerous. 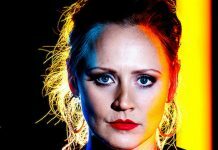 Mon 18 Mar 2019: With the battle lines drawn, how will Moira’s feud with Kim affect Cain? Mon 18 Mar 2019: Outraged to hear the school’s proposal of a four-day week, Nicola realises she could use the issue to get herself voted onto the council. Mon 18 Mar 2019: Nicola gets some advice from former councillor Eric Pollard. 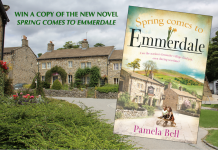 Tues 19 Mar 2019: Later at Home Farm, Kim’s thrown to receive a note from Graham, but hastily composes herself as Cain arrives. Tues 19 Mar 2019: What game is Kim playing with Cain and Moira and who will win? 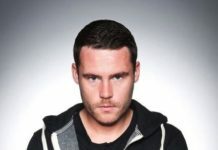 Tues 19 Mar 2019: As Cain confronts Kim, she tries it on with him. 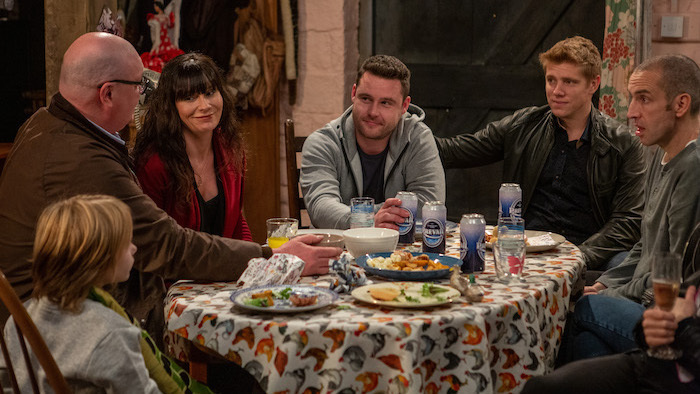 Tues 19 Mar 2019: Chas and Paddy share their baby news with the Dingles. 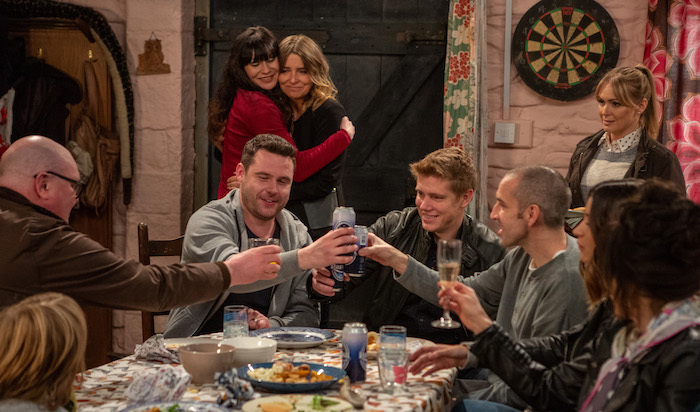 Tues 19 Mar 2019: As the Dingles celebrate, Charity struggles to keep her conflicting emotions in check. Tues 19 Mar 2019: How will Charity hide her heartbreaking secret from the rest of the Dingles? 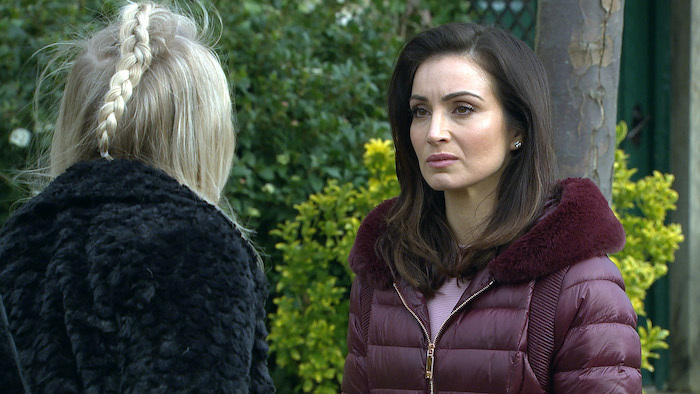 Tues 19 Mar 2019: Vanessa’s bemused by Charity’s behaviour and wants some answers. 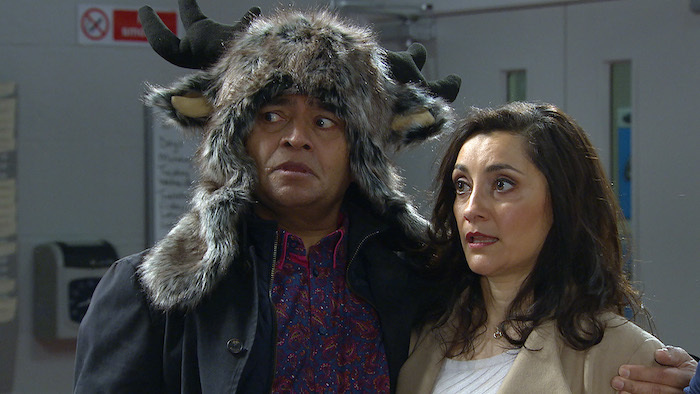 Tues 19 Mar 2019: When Rhona resists Pete’s help, and tries to conceal her hot flushes, he starts to figure out the truth. 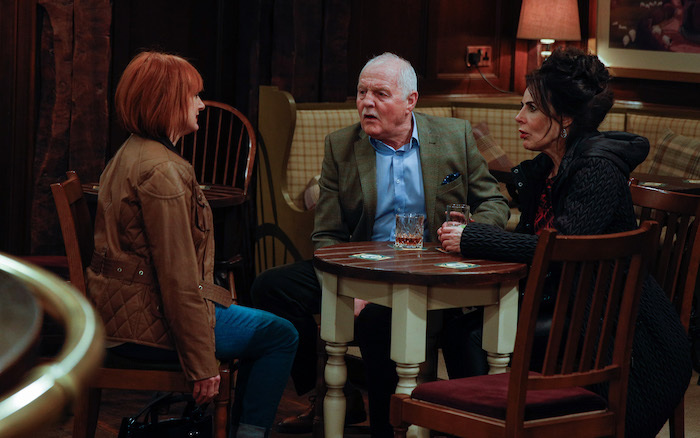 Tues 19 Mar 2019: Pete asks if it’s the menopause but Rhona defensively denies, secretly despairing to know he’s right and she can’t admit it. 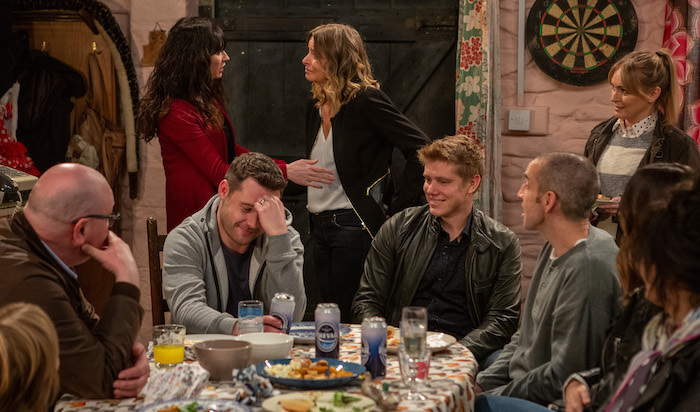 Wed 20 Mar 2019: Marlon warns Paddy he needs to tell Rhona about Chas’ pregnancy before someone else does. Paddy bites the bullet and tells Rhona. 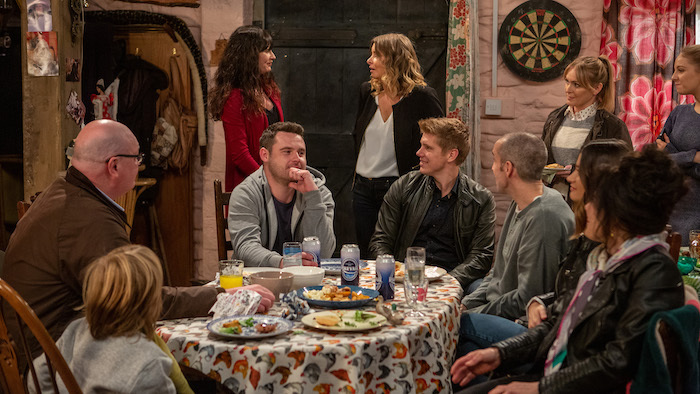 Wed 20 Mar 2019:: Rhona seemingly takes Paddy’s news well and tells him he deserves his happiness, determined to be happy for her friend. 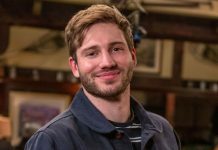 Thurs 21 Mar 2019 – 7pm: When Graham returns and tells Kim he’s going nowhere they both know she’s secretly relieved, making it clear they’re equals now. 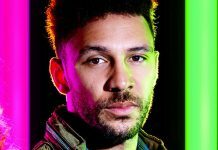 Thurs 21 Mar 2019 – 7pm: Marlon’s shocked to find Rhona so distraught but will she open up to him and if so what will happen? 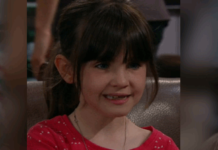 Thurs 21 Mar 2019 – 7pm: Jacob and Maya sneak into Tug Ghyll cottage and head upstairs. 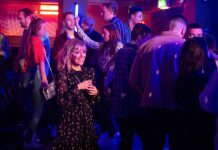 Thurs 21 Mar 2019 – 7pm: Looking for an excuse, Maya tells Tracy that Leyla’s upstairs with a man. 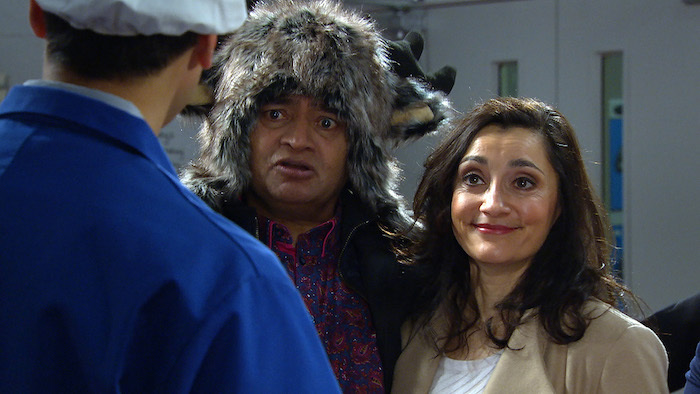 Thurs 21 Mar 2019 – 8pm: Rishi and Manpreet return but dread telling Jai their news. Thurs 21 Mar 2019 – 8pm: Jai looks like someone sucked all the caramel centres out of his chocolates! 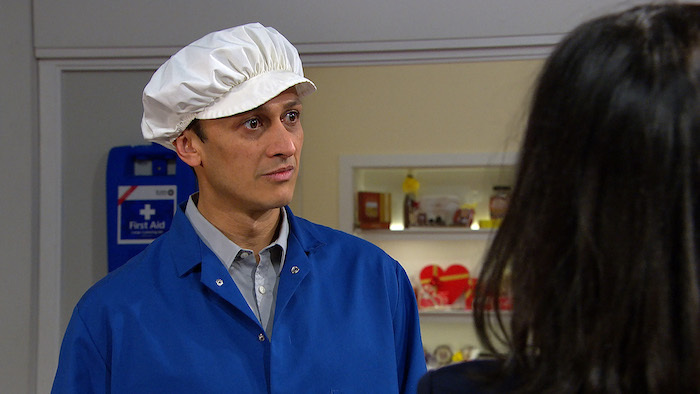 Thurs 21 Mar 2019 – 8pm: What on earth is Rishi wearing on his head and does it need to be surgically removed? 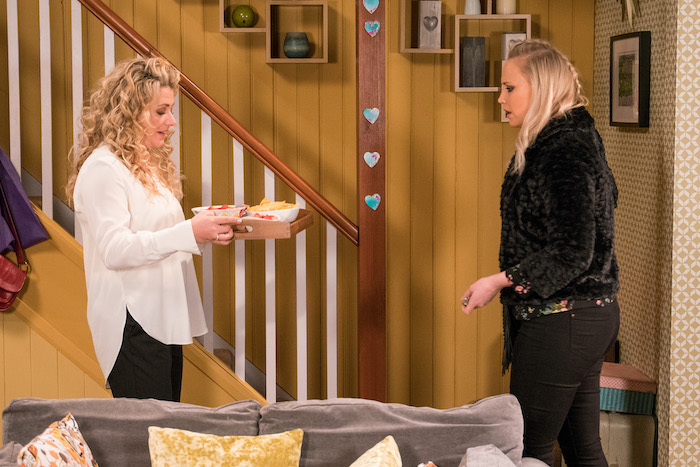 Thurs 21 Mar 2019 – 8pm: When Tracy sees Leyla chatting to Billy outside, she darkens, assuming they were upstairs together. 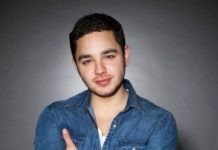 Thurs 21 Mar 2019 – 8pm: A guilt-stricken Jacob looks on, knowing he’s responsible for the fallout and could the lie backfire even more? 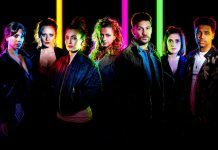 Thurs 21 Mar 2019 – 8pm: Tracy angrily lashes out at Leyla, while Billy tries to pull them apart. Thurs 21 Mar 2019 – 8pm: In the shop, David’s excited to be offered a place on a retailer’s convention. 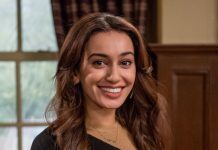 Thurs 21 Mar 2019 – 8pm: Maya looks excited because, with David away, she gets Jacob all to herself. 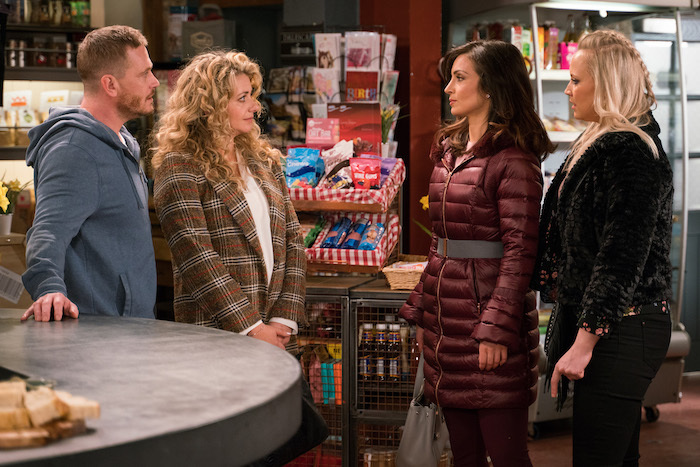 Thurs 21 Mar 2019 – 8pm: Leyla and Tracy arrive at the shop and they ain’t come for a packet of custard creams! 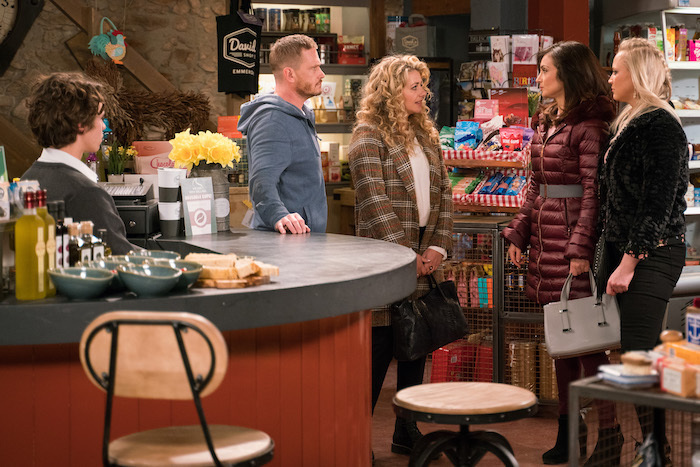 Thurs 21 Mar 2019 – 8pm: How will Maya explain herself to Leyla and Tracy?